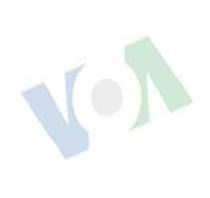 And I’m Doug Johnson with the VOA Special English program PEOPLE IN AMERICA. Today we tell about world famous country music performer Johnny Cash. That was Johnny Cash singing his first major hit record, “I Walk The Line”. It has sold more than two million copies since it was released in nineteen fifty-six. Music industry experts say Johnny Cash recorded one thousand five hundred songs during his life. He sold more than fifty million records. He recorded not only country music, but religious songs, rock and roll, folk and blues. Johnny Cash was born in nineteen thirty-two in the southern state of Arkansas. His parents were poor cotton farmers. He worked in the fields alongside his parents, three brothers and two sisters. He also listened to country music on the radio. He began writing songs and he performed on radio programs. After high school, he joined the United States Air Force. He served as a radio operator in Germany. He returned to the United States in nineteen fifty-four and married Vivian Liberto. They moved to Memphis, Tennessee. He got a job selling kitchen equipment and went to school to learn how to be a radio announcer. By nineteen fifty-eight, Johnny Cash was a successful recording artist, songwriter and singer. He was invited to perform at the Grand Ole Opry in Nashville, Tennessee. He performed his music in front of live audiences in the United States and in other countries. But he was often afraid to perform in front of a lot of people. He began using drugs to help him perform and quickly became dependant on the drugs. His serious drug problem caused the end of his marriage. Johnny Cash said he took drugs regularly for seven years during the nineteen sixties. Then he would drive cars and boats too fast and get into dangerous accidents that almost killed him. He finally decided that he needed to stop taking drugs. 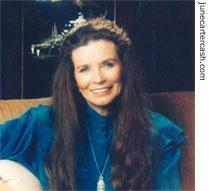 One of his best friends, country singer June Carter, helped him through this difficult time. The Carter family is considered one of the earliest country and western singing groups. Johnny Cash and June Carter were married in nineteen sixty-eight. They performed many times with the Carter family. She also helped him re-discover his Christian faith. Johnny Cash had his own television show and also acted in movies. He published two books about his life. He won many awards, including eleven Grammy Awards and the Kennedy Center Honors. He was elected to both the Country Music Hall of Fame and the Rock and Roll Hall of Fame. He also received a Grammy Lifetime Achievement Award. Johnny Cash suffered many health problems as he got older. When June Carter Cash died in May, two thousand three, his friends feared the worst. But Cash decided to continue recording. He recorded more than fifty songs in the four months before he died on September twelfth, two thousand three, in Nashville. He was seventy-one years old. A reporter once asked Johnny Cash what he hoped people would remember about his music. Cash said he hoped people would remember that his music described the feelings of love and life. That it was different. And that it was honest. This Special English program was written by Nancy Steinbach. It was produced by Lawan Davis. Our studio engineer was Suleiman Tarawalay. I’m Faith Lapidus. And I’m Doug Johnson. Join us again next week for another PEOPLE IN AMERICA program on the Voice of America.